"There’s no question that computing is getting more personal and perhaps less immediately apparent." Daniel Sieberg is CEO and Founder of iO Ventures LLC, which advises early-growth journalism-focused startups. Prior to this Daniel was co-founder of a blockchain-based startup, having left Google in 2017. Whilst he was at Google, Sieberg was Head of Media Outreach, Senior Manager and official spokesperson. 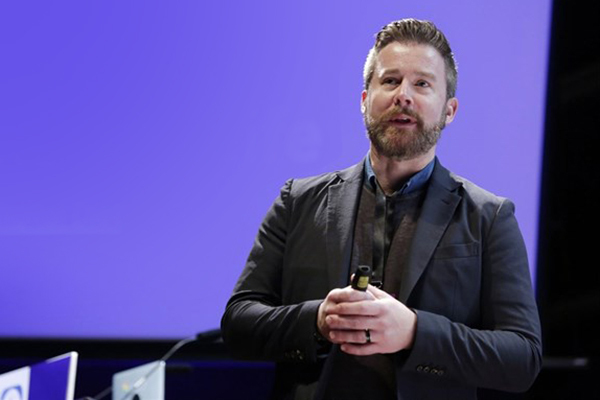 Sieberg joined the company in 2011 and led a Google News Lab team that supports journalists around the world as they use Google’s tools for newsgathering including Google Maps and Google Earth, Fusion Tables, Google+, Search, Trends, YouTube and more. 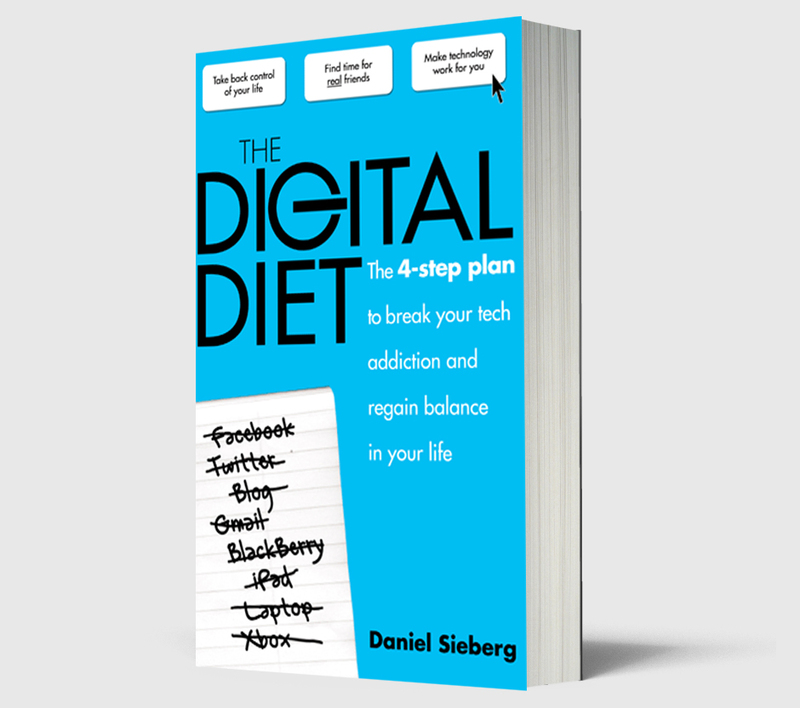 Daniel Sieberg is the author of The Digital Diet: The four-step plan to break your tech addiction and regain balance in your life, which is all about becoming a high-powered, high-efficiency communicator in today’s fast-paced world. Design Thinking, Growth Mindset – Are You & Your Teams Thinking Differently? Immersive Storytelling – Why Should We Care About VR? Marketing Techniques Tomorrow – How Do You Best Reach Your Next Customer? Healthy Tech and Healthcare – What’s Ahead for Our wellbeing? A.I. & Machine Learning – Are The Robots Coming To Get Us? News You Can Use – How Will News Survive and Thrive In The Future? Blockchain / Cryptocurrency – What Does It All Mean? Why Should We Care? You recently made a very brave leap from Google to Civil. Tell us more about how life has changed for you…. I’d say it’s hard work but with a higher level of personal and professional reward being a co-founder and working with such a talented group of colleagues (we’re 12 full-time staff and heading towards 15+ soon). Certainly a contrast to Google with upwards of 80,000 employees. It’s so exciting to be at this nexus of news and technology and it feels like there’s never been a more important time to attack this Gordian knot of trustworthy and sustainable journalism at scale. We’re positioning ourselves to be a global company that explores how our platform can both serve as a marketplace for consumers and newsmakers but also for developers to build services and tools in support of quality information. Civil is using blockchain as the backbone behind this new news force. This is an innovative move that a lot of people are watching. 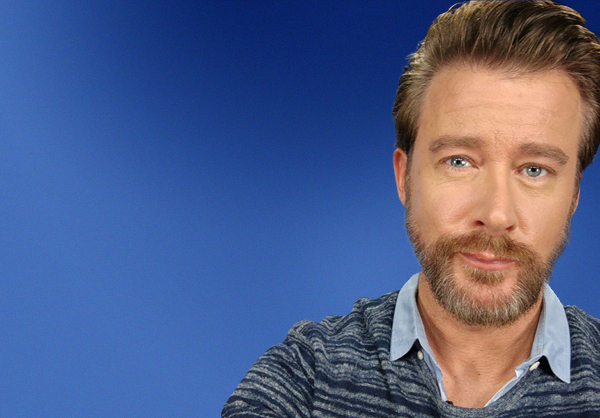 How does it feel to be at the forefront of a new movement/way to receive and share news? I compare it to learning a new language (though I can barely speak English) as there are new terms, new concepts and new paradigms to how we communicate, share and exchange information and transactions. The blockchain space is still in its nascent stages but there is tremendous momentum and interest around ways it can assist with everything from voting to healthcare records to even tracking music files and helping bands/musicians get compensated for their work. We see it as a chance for journalism to tap into the immutability of blockchain coupled with its opportunity for a governance structure, payment processes within our platform and other utility cases that include how a newsroom is able to access the publishing content management system on Civil. All that is to say that I’m still learning like many others in this space but the overall and underlying technology is moving ahead at a rapid pace. You wrote a seminal book called ‘The Digital Diet’ and now you’re also helping us to receive news in a much more efficient way. Where do you see the similarities? We all have limited time in our lives – thus far no technology can alter that reality. But we can make the best of it and learn how to optimize our human behaviors. That includes being more conscious of our digital consumption and ensuring that that awareness aids us in making better decisions around what and when to consume information. My own “digital diet” has evolved over the years between different jobs and having children and changing tastes. But ultimately it still comes back to making choices – just like with food – and the more aware we can be of those decisions and the more informed we can be, the more empowered the journey and the outcome. As always, love your technology – just not unconditionally. 2018 looks like being a very big year for Civil. Is this going to be felt more within the journalist community or for the readers/receivers? We think both audiences stand to gain. We’ve shared some product news about how, for example, credibility indicators within the experience will help give readers better signals on what content to trust or not. And – in collaboration with the industry writ large – we’re designing a new UX for people that will provide additional journalistic context around content and aid with consumption. Ideally we also want to burst people’s filter bubbles with new ways to share opposing viewpoints and find ways to incentivize fact-checking and accuracy. Lots to come. And we think journalists will appreciate the new ways to generate revenue through the business models we’re providing – framed by crypto-currency but we’ll also be accepting fiat payment and allowing newsrooms full discretion when they choose their preferred ways of monetization. It’s all leading towards a CVL token sale in March followed by our platform/marketplace launch in April. When I join Civil – what does that do for me and my news? We hope it provides for a more meaningful and engaged experience and highlights the benefits of news that’s owned by the people for the people. Civil is built on decentralized blockchain technology so there are no ads and no middle people – it’s simply newsroom>>>reader. We think that’ll revolutionize the way news is produced and consumed in the future and look forward to hearing from people as we go forward. We’re @join_civil on twitter or people can find us at joincivil.com for now. 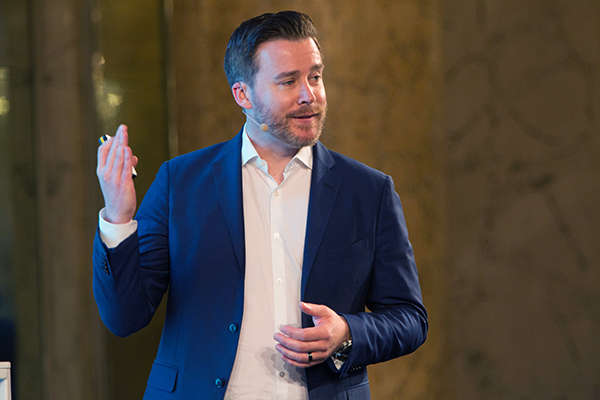 For more than 25 years Daniel Sieberg’s career has been at the intersection of consumers, media and technology. 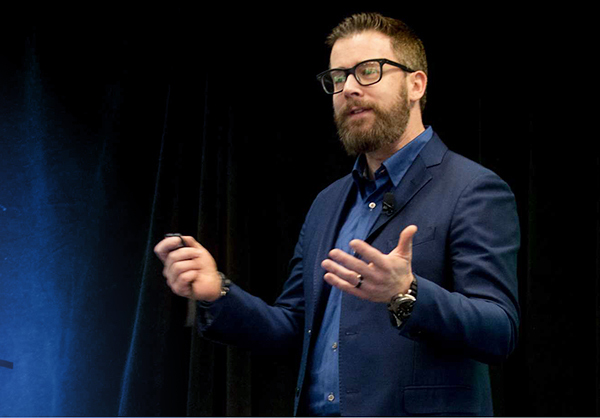 He has worked for the likes of CNN, CBS News and ABC News as a technology correspondent and appeared on many other networks to serve as a reporter and analyst on today’s top tech issues. He joined the marketing efforts at Google in 2011 and for six years worked there to build two teams that support innovation in journalism. At the end of 2017 Sieberg made the leap to the blockchain revolution to join Civil, which is about merging quality journalism and a decentralized platform for news consumption. 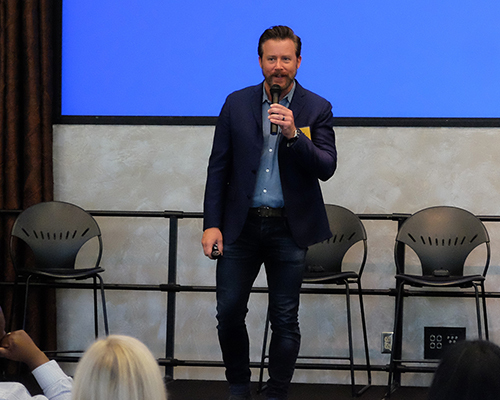 Sieberg has been at the vanguard of technology for more than two decades and can speak authoritatively about actionable strategies covering marketing, social media, new and emerging technologies and corporate leadership to audiences worldwide. If you would like to book Daniel Sieberg for your next event, please call Steve Cummins on +376 735 154 or send an email to steve@csaspeakers.com. We provide the most influential people on the planet to inspire, educate, motivate or entertain. It’s what we do best and what we’ve been doing since 1983. Today we are a world-leading speaker bureau. When you choose CSA, rest assured, you will be working with the best in the business. 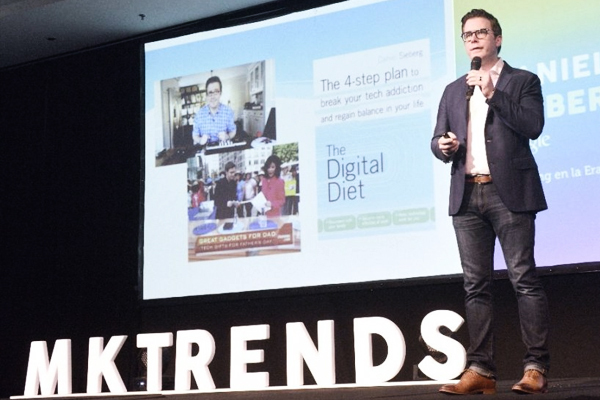 Please visit www.speakers.co.uk for a selection of our speakers who can transform your next event into a unique experience by sharing their latest research and innovative ideas.